While waiting for the holidays or the next school vacations, don’t you sometimes wish to have a good overview of the upcoming free days? 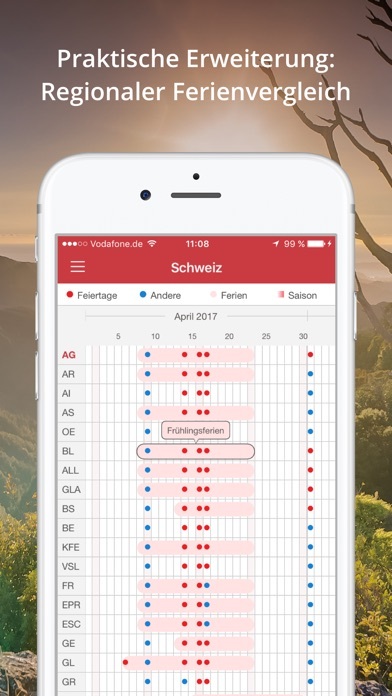 Whether you want to have an overview of your kids school vacations or to be able to guess changes on the traffic density due to public holidays, with our Holidays and Vacations App you will easily access these valuable information for many different countries including popular travel destinations worldwide. From this variety of regions you can easily select the one that interests you. The corresponding holidays and school vacations for the selected year will be listed in an overview. 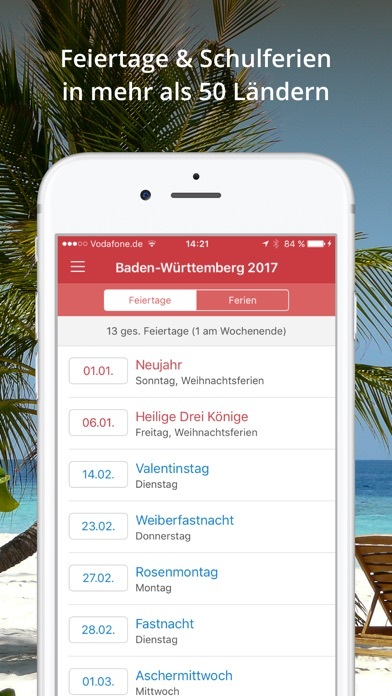 In addition to that, you’ll be able to add all kinds of holidays to your calendar view, like dates that are not public holidays or dates important to a certain religion, as well as holidays of other countries. You can add holidays and school vacation yourself. Like that you can help us to complete missing information and make it available for other users. 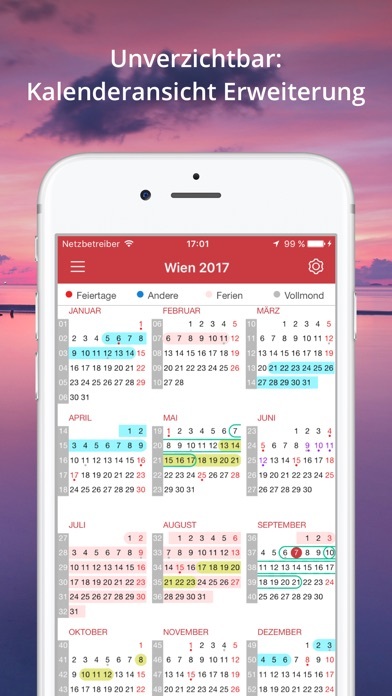 With the help of the integrated countdown you can easily keep an eye on the upcoming holidays and school vacations: just mark any future holidays you like in your overview and the app will show you how many days are left until then. This also works with every school vacation. New holidays and school vacation data will be loaded automatically to the app. You can also add your private vacation in a separate list to see how many days are left until the next one starts. Create events for the birthdays of your family and friends, add your upcoming weekend trips, or save all your favorite festivals. You can create different categories for your events and change their appearance in the calendar views. This will help you to get a complete overview of any event you're interested in. 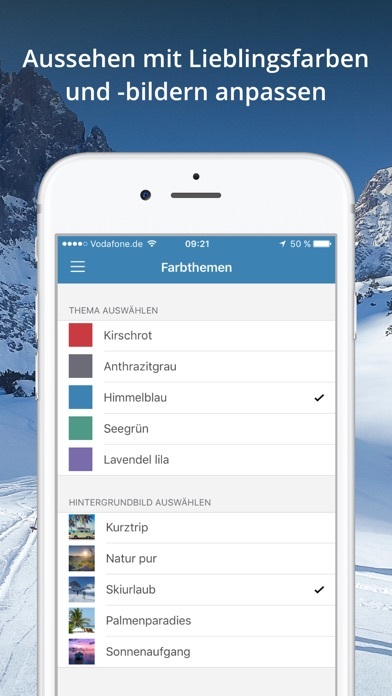 Customise the Holidays and Vacations 'App by selecting your favourite color and background picture. If you don’t like the advertisements, you can easily get rid of them. 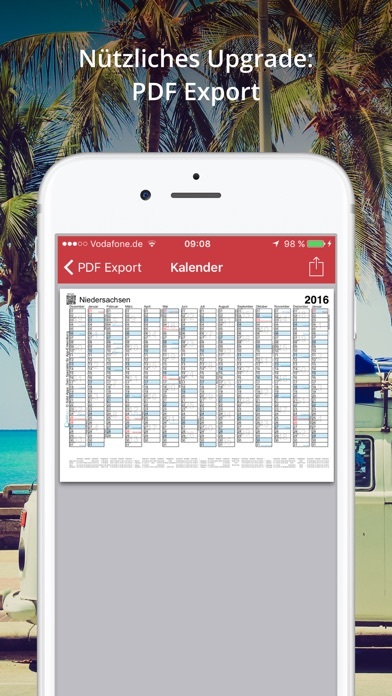 You can export your individual calendar to a pdf-file and then print it if you wish. We are always happy about suggestions and feedback. Send us an e-mail to: support@solid-apps.de. 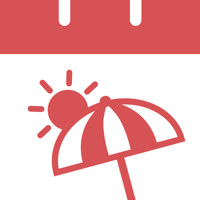 You can get more information and a web view of the Holiday and Vacation App at: www.holidaycalendar.com.